Posted May 26, 2017 by SCS Gearbox & filed under Monster Trucks. If you’ve never been to a monster truck show, you should change that soon. Monster trucks have evolved a lot over the course of the last 40 years, and catching a show in person is the best way to experience what they are all about. You will be blown away when you see what they are able to do and how they are able to maneuver around inside of a packed arena. Whether you’re 8 years old or 80 years old, monster truck shows can be a lot of fun. Here are some fun facts about monster trucks. While all monster trucks come in different shapes and sizes, it’s not out of the ordinary to see a truck that is 12 feet tall and 12 feet wide. Additionally, monster trucks usually weigh more than 10,000 pounds. The combination of this height, width, and weight is what makes monster trucks so overwhelmingly large. Monster trucks are quicker than you might think. While monster trucks are very large, that doesn’t prevent them from reaching high speeds. They don’t typically clock 100 MPH inside of arenas, but they are capable of driving that fast. Monster trucks can also generate between 1,500 and 2,000 horsepower for short periods of time, which allows them to move quickly and creates a lot of noise in the process. Monster trucks cost a lot of money. You might not necessarily associate monster trucks with luxury vehicles, but they are more expensive than most other vehicles out there. 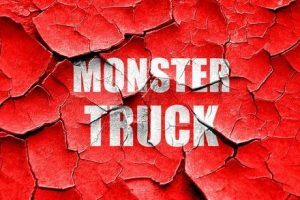 The average monster truck costs somewhere in the neighborhood of $250,000, and they can cost a lot more than that depending on the parts that are used to manufacture them. Monster trucks are capable of jumping over a lot of cars at once. One of the coolest parts about monster trucks is watching them soar over lines of cars. The average monster truck can jump about 125 feet, which is why monster trucks can jump over about 14 cars at one time. They can also reach heights of 35 feet while in the air. Monster trucks are amazing vehicles, but they require special parts to do what they do. 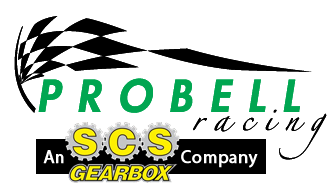 SCS Gearbox can provide you with heavy duty transmissions, quick change gears, gearboxes, and more for your monster truck. Call us at 419-483-7278 today to discover why so many monster truck companies have trusted us for their high-performance parts.